This is the complete package that originally sold for $300. Only 2500 copies of this were sold and they sold out instantly upon release. 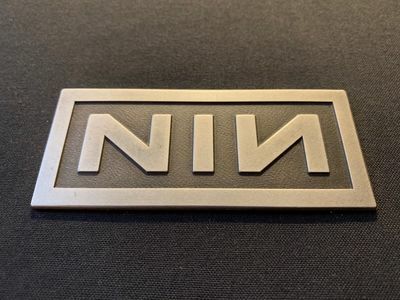 I purchased mine straight from Nine Inch Nails at the moment this edition went for sale. I am the original owner. This box set has been stored in a non-smoking house. The art book is in perfect condition and is signed in silver ink by Trent Reznor. The art prints are in perfect condition. The CDs are in perfect condition. The only minor defects are some basic scratching of the metal label that shows the limited edition number and some minor impressions on the vinyl due to the fabric used to sleeve each record. Upon my own research, the fabric impression is a common defect among all of the limited edition sets. You will see mention of this upon your own research. The impression does not affect audio quality. The records have never been played. I tested the Blu-Ray surround sound copy of the album when I first opened the package and have not touched it sense. This limited edition box set is so special to me that I have only stored it and admired it from time to time. Nine Inch Nails is one of my top 5 favorite bands and I regret having to sell this. As a father in hard financial times, I must do what is necessary to provide for my boys and I. I know that these sets are rare to find online in the complete package as originally released. I hope that a NIN fan out there finds enjoyment through the chance of owning this.